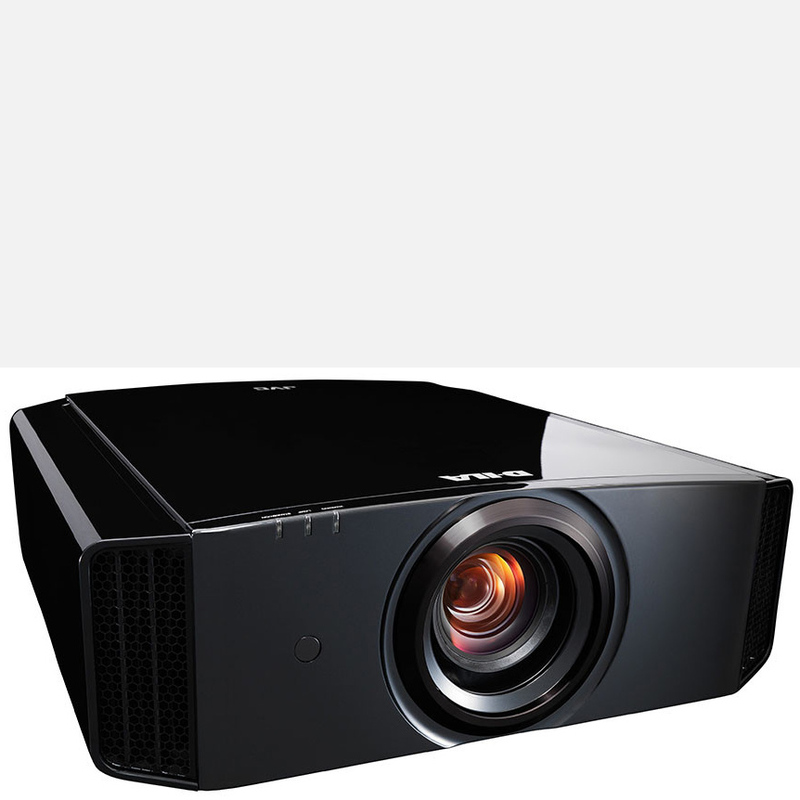 This new and exciting 4K upscaling DLP projector is a first from JVC and with their experience and background should be great, hopefully it will be DLP done properly and with very good lens shift should be a very welcome addition to their extensive range and at a very competitive price. Expected first shipment is mid/late May 2018 so please register your interest and book a demo here at Ideal AV. Orders are now being taken now the delivery date is confirmed. JVC have announced a new 4K HDR DLP projector, the JVC LX-UH1 that extends the brand’s reputation for stunning image quality to a wider audience of home theatre enthusiasts. The new 0.47-inch TRP digital micromirror device (DMD) is a 4K UHD DLP chipset that in combination with the JVC LX-UH1 high quality optical system delivers crisp 4K (3840 x 2160) video. 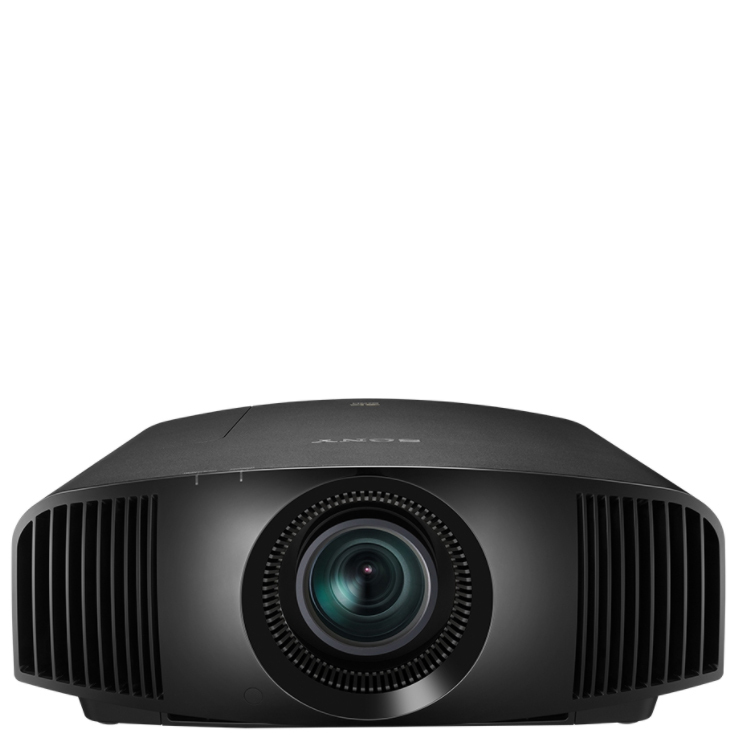 With four times the resolution of 1080p, 2000 lumens, and an RGBRGB colour wheel, the new projector delivers bright, high-contrast images for a thrilling home theatre experience, with a dynamic contrast ratio of 100,000:1. The JVC LX-UH1 supports 100% of Rec. 709 color space (BT.2020 compatible) and displays HDR content with outstanding brightness, contrast and colour. 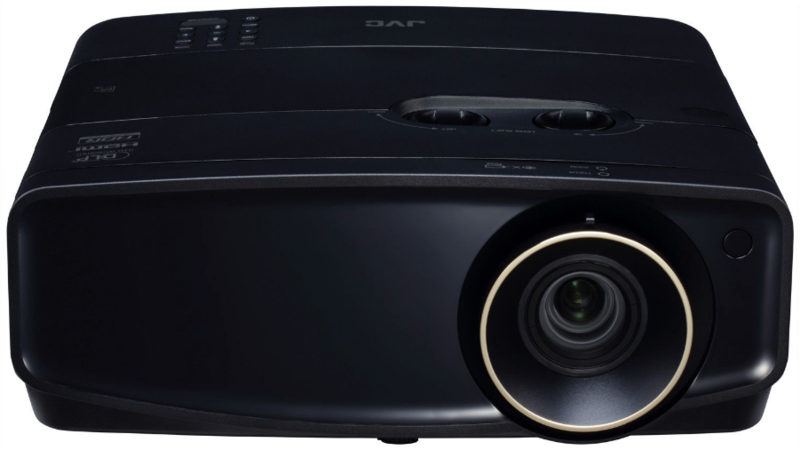 The JVC LX-UH1 projector supports both HDR10 and Hybrid Log Gamma, an HDR Gamma mode for broadcasts and streaming services. When viewing HDR content users have the option to engage the two-position automatic aperture to get the best possible image quality. 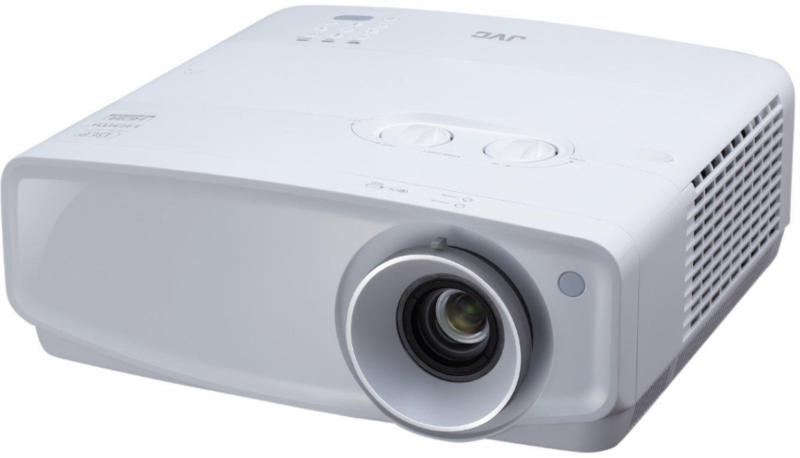 The JVC LX-UH1 projector includes two HDMI inputs, including one that features the full speed/full spec HDMI/HDCP2.2 standard and capable of handling data transfer rates up to 18Gbps. There is also an RS-232C interface and a 12-volt screen trigger output. To accommodate a wide range of installation situations the JVC LX-UH1 provides a ±60% vertical lens shift and ±23% horizontal lens shift. 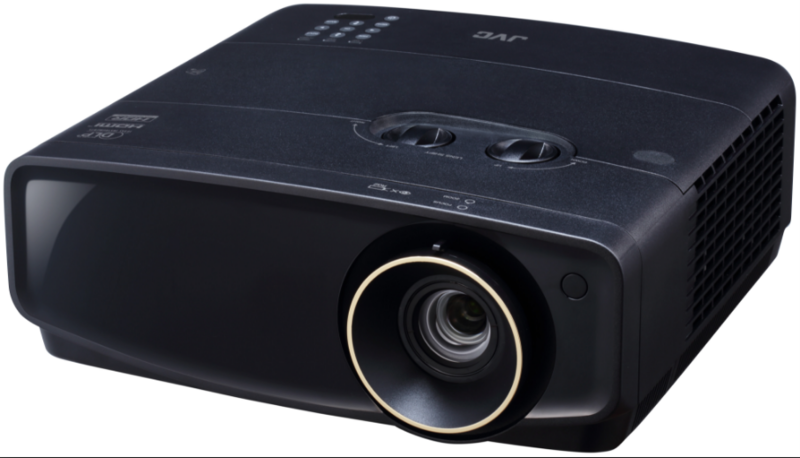 In combination with the projector’s 1.6x wide zoom lens, this enhanced versatility makes it easy to install the projector in most any home environment. 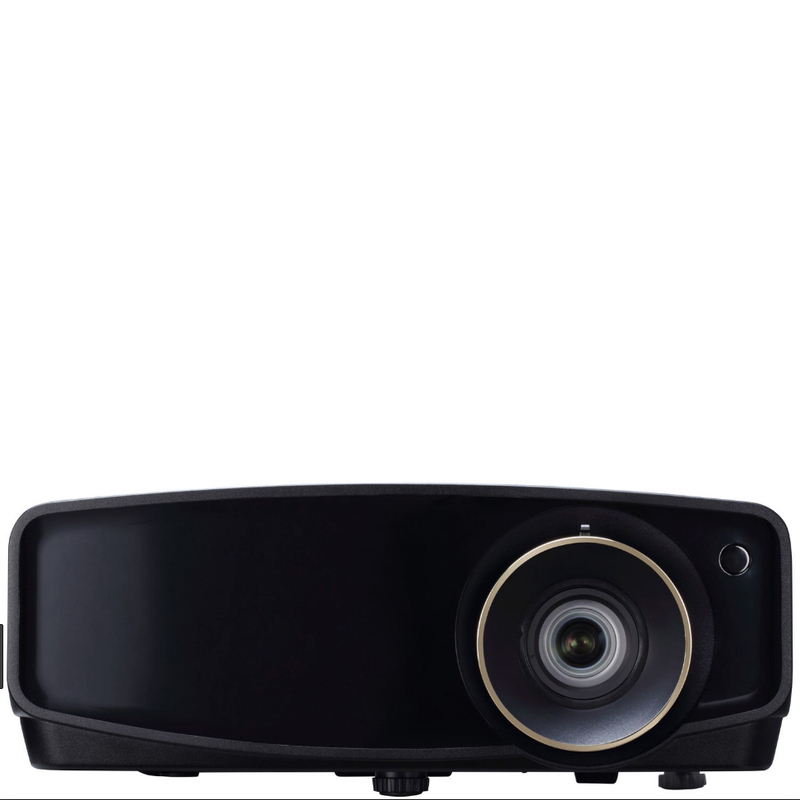 The JVC LX-UH1 4K HDR DLP Projector features a compact design and wide lens shift for easy installation. Connect any 4K 60P source through the HDMI/HDCP 2.2 compatible input and enjoy HDR content that takes the viewing experience to a whole new level. DMD (digital micromirror device) is a digitally controlled micro-opto-electromechanical system (MOEMS) spatial light modulator (SLM). When coupled to an appropriate optical system, the DMD displays a very crisp, high resolution image or video. 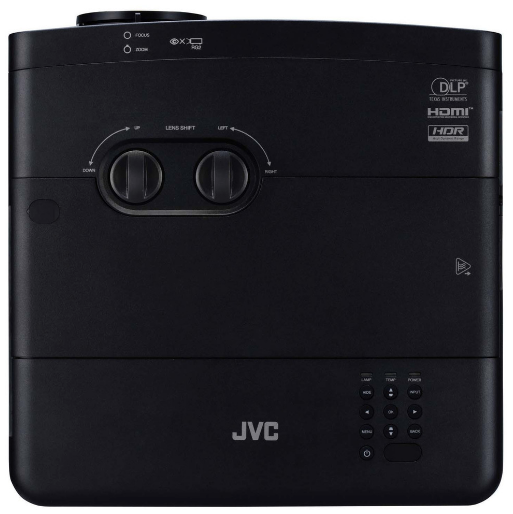 JVC LX-UH1 incorporates the latest HDMI/HDCP2.2 standard allowing HDCP2.2 copy protected devices to be connected via the HDMI-1 input. The JVC LX-UH1 supports 100% of Rec. 709 colour space (BT. 2020 compatible) and displays HDR content with high contrast and bright vivid images.